So how do you stay calm, composed and maintain self-esteem in a tough environment? Here are some tips you may to consider as a starter guide to self-improvement. Imagine yourself as a Dart Board. 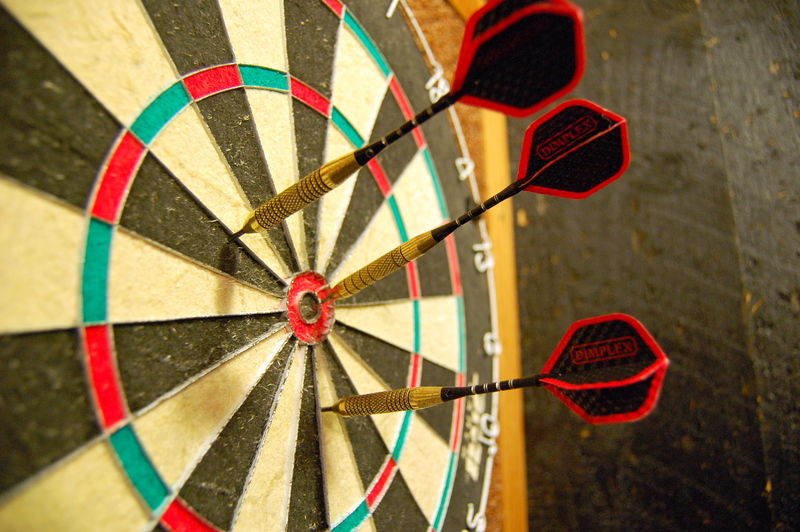 Everything and everyone else around you may become Dart Pins, at one point or another. These dart pins will destroy your self esteem and pull you down in ways you won’t even remember. Don’t let them destroy you, or get the best of you. So which dart pins should you avoid? Dart Pin #1 : Negative Work Environment. Dart Pin #2: Other People’s Behavior. Bulldozers, brown nosers, gossipmongers, whiners, backstabbers, snipers, people walking wounded, controllers, naggers, complainers, exploders, patronizers, sluffers… all these kinds of people will pose bad vibes for your self esteem, as well as to your self-improvement scheme. Dart Pin #3: Changing Environment. You can’t be a green bug on a brown field. Changes challenge our paradigms. It tests our flexibility, adaptability and alters the way we think. Changes will make life difficult for a while, it may cause stress but it will help us find ways to improve our selves. Change will be there forever, we must be susceptible to it. Dart Pin #4: Past Experience. Dart Pin #5: Negative World View. Dart Pin #6: Determination Theory. The way you are and your behavioral traits is said to be a mixed end product of your inherited traits (genetics), your upbringing (psychic), and your environmental surroundings such as your spouse, the company, the economy or your circle of friends. You have your own identity. If your father is a failure, it doesn’t mean you have to be a failure too. Learn from other people’s experience, so you’ll never have to encounter the same mistakes. Sometimes, you may want to wonder if some people are born leaders or positive thinkers. NO. Being positive, and staying positive is a choice. Building self-esteem and drawing lines for self-improvement is a choice, not a rule or a talent. God wouldn’t come down from heaven and tell you – “George, you may now have the permission to build self-esteem and improve your self.” In life, its hard to stay tough specially when things and people around you keep pulling you down. When we get to the battle field, we should choose the right luggage to bring and armors to use, and pick those that are bullet proof. Life’s options give us arrays of more options. Along the battle, we will get hit and bruised. And wearing a bullet proof armor ideally means ‘self change’. The kind of change which comes from within. Voluntarily. Armour or Self Change changes 3 things: our attitude, our behavior and our way of thinking. Building self-esteem will eventually lead to self-improvement if we start to become responsible for who we are, what we have and what we do. It’s like a flame that should gradually spread like a brush fire from inside and out. When we develop self-esteem, we take control of our mission, values and discipline. Self esteem brings about self-improvement, true assessment, and determination. So how do you start putting up the building blocks of self-esteem? Be positive. Be contented and happy. Be appreciative. Never miss an opportunity to compliment. A positive way of living will help you build self-esteem, your starter guide to self-improvement!